Many thanks for agreeing to participate in the important work of the Committee on Graduate Education, which will be chaired by David Nirenberg, Executive Vice Provost and Deborah R. and Edgar D. Jannotta Distinguished Service Professor of Medieval History and Social Thought. The issues before the Committee derive from the University’s role as a private research university dedicated to the training of scholars and teachers, to a strong liberal arts college, and to first-rate professional education. The national and international context of these activities is continually changing, and we need to be looking forward in order to set our own course toward the forms and possibilities of graduate education that will build on the strengths and aspirations we have for this University. In the face of a range of challenges to academic institutions today, the University must take the initiative to evaluate its programs and the concepts that underlie them with the same critical attention that as scholars we each apply to our research. The Committee’s task is to survey graduate education at the University in the broadest sense: not only to assess the merits or limitations of a particular program or aspect of graduate education, but to examine its most basic assumptions, with the goal of enhancing the University’s ability to maintain the highest standards of quality for graduate education today and in the future. You are charged with providing your assessment of the present state of graduate education at the University in light of the University’s commitment to excellence in research and teaching, and in the context of the changing landscape of higher education. I ask that your evaluation consider graduate education, research, and experience at the University holistically and as they interrelate with undergraduate and professional education. The structure of your written assessment may well reflect the recognition that faculty and students have overlapping but different roles in that enterprise. You have wide latitude to determine the report’s structure as well as the specific issues to be addressed. I nevertheless expect you would assess graduate student funding, the financing of graduate education, and the requirements for and time to completion of graduate degree programs. Further, and related to funding, I anticipate you reviewing the availability and affordability of housing, health care and support for student parents. I also see as crucial a review of the role of teaching in graduate education, of graduate students in teaching, and of faculty in advising and mentoring. Important as well would be focus on the purposes and professions towards which graduate degree programs may be directed and the appropriateness of training for those purposes. I look forward to learning what you find with respect to these and any other issues you deem important to include in your report. Former University President Hanna Gray issued a similar charge to the Commission on Graduate Education in 1980, which resulted in the Baker Report of 1982. You may wish to include this report and other historical University documents as part of the data about the University’s practices that you will gather and analyze in your own assessment. And you may want to assemble and analyze information related to these issues at other research universities, as well as ours. Staff will be available to help with that. A great deal has changed in the thirty-six years since the Baker Report, not only here at the University but also in the broader society. Among the many changes is an increased understanding of the importance of student as well as faculty perspectives on committees such as this. That awareness is reflected in your membership. In order to facilitate student participation, I ask that the Committee commence and complete its charge within one calendar year. To that end, the Committee should submit its written report to the Provost by January 11, 2019. The report will be made available to the University Community. President Gray wrote in her 1980 invitation letter to members of the Commission on Graduate Education, I expect the work of this group to be unusually important in exploring and shaping the nature and directions of the University’s definition of purpose and of its academic objectives in the years ahead. The Commission’s activity … will give stimulus and substance to the most significant discussions and decisions that we need to undertake. I hold the same expectation for the Committee today. As members of the joint student and faculty Committee on Graduate Education, we are writing with an update on our work since last spring, when the Provost charged us with providing an assessment of graduate education at the University of Chicago. We have spent the past eleven months on this project and are pleased to report that we have submitted a comprehensive report to the Provost. We will be meeting with him at the beginning of spring quarter to discuss our process, findings, and recommendations in person, and we look forward to the publication of our report and the Provost’s response, which we hope will include clear action steps to fortify and improve the experience of graduate students. Working together as a faculty and student committee was a richly rewarding experience. Our report identifies important issues that many members of the committee care deeply about and found common cause over, even as we come from different fields of study and life experiences. Although the diversity of our perspectives made the enterprise challenging at times, we fully recognize that the dissent in our discussions was also crucial. Our final committee report was strengthened by the conversations that led to the agreement that co-authorship demands. We are, at the end of the day, a committee of individuals speaking from our understanding of data, which we were pleased to have access to on a wide scale; observations gleaned from conversations with students, faculty, and staff; survey responses from students, faculty, and directors of graduate studies; national reports and studies on graduate education; and many, many hours spent in conversation with each other. We wish to thank the Provost for the opportunity to examine what is working well at the University of Chicago and to identify areas in need of improvement. We also must thank the hundreds of students, faculty, and staff who answered surveys, attended open meetings and town halls, met with us individually and in small groups, and emailed us with questions and concerns. The enterprise of graduate education is at a critical point right now, and we are cautiously optimistic about its future in general and at the University of Chicago specifically. As a community, we all—students, faculty, and administrators—have a role to play in moving the needle. As a committee, we are grateful to have had the chance to provide our thoughts, and we look forward to seeing the fruits of our effort in the coming months and years. As members of the joint student and faculty Committee on Graduate Education charged last spring by Provost Diermeier with providing a comprehensive assessment of graduate education at the University, we are writing with an update. In addition to the student survey, which we shared with you in Autumn Quarter, we are able to share faculty survey results, which are now available online. There was a 39% response rate, with 523 faculty participating across the divisions and schools, and our committee is currently analyzing the data to inform our discussions and report. The Provost had asked that we submit a written report to him by January 11, 2019, and although we have been working diligently over the course of the last eight months, we will not be able to meet that deadline. We have requested and been granted an extension to allow us to continue the data analysis, stakeholder conversations, committee discussions and writing in which we are currently immersed. Our goal is to submit a report to the Provost before the end of Winter Quarter. In the meantime, as a group we can already report that we wholeheartedly endorse student participation in university initiatives such as this committee. The variety of perspectives and experiences has been tremendously informative, and each and every one of us agrees that our final product will be stronger because of the makeup of our committee. Without having to wait for our final report, we hope moving forward that the leadership of the university, the divisions and schools, and the departments and programs will consider involving students in faculty and administrator working groups and committees. We are writing with an update on the work of the Committee on Graduate Education, charged in the spring with providing a comprehensive assessment of graduate education at UChicago. Since our last message at the end of October, we have held three open meetings to solicit ideas and concerns from the community on graduate education: we presented to Graduate Council and, just last week, held two Town Hall meetings. Thank you to those who attended and participated in constructive conversations. Our survey of faculty closed last month, with a 39 percent participation rate across the graduate divisions and schools. We anticipate being able to share those survey results next month, similar to how we shared the results of the student survey. In light of David Nirenberg’s stepping down from his position as Executive Vice Provost (and chair of the committee) to focus efforts on the Divinity School where he is currently the dean, we will move forward with our faculty and student co-chairs, Vicky Prince and Jordan Johansen, taking over leadership of the committee. We are grateful for David’s leadership of the committee and his contributions to its work, which have been invaluable. As members of the joint student and faculty Committee on Graduate Education we are writing with an update on our work, as well as to share the results of this summer’s graduate student survey. Composed of graduate students and faculty from across programs and fields of study the Committee was charged last spring by Provost Diermeier with providing a comprehensive assessment of graduate education at the University. The Committee set to work in the spring, collecting information from many sources across the University, as well as material related to the national landscape of graduate education and efforts at peer institutions. The Committee collected large amounts of data from many campus offices and detailed information from graduate programs across the University. It also held–and will continue to hold¬–“town halls” and less formal meetings with representatives of many different groups of students, faculty, and administrators. 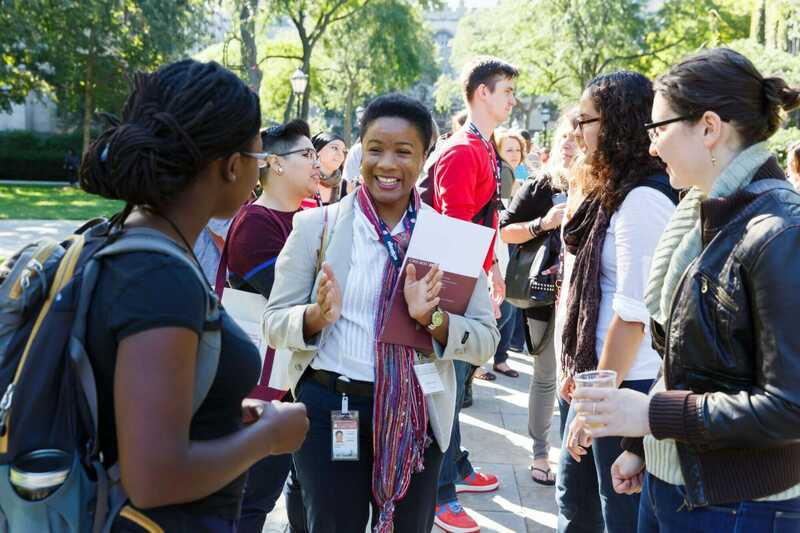 We welcome input and engagement from any and all graduate students, faculty, and staff. 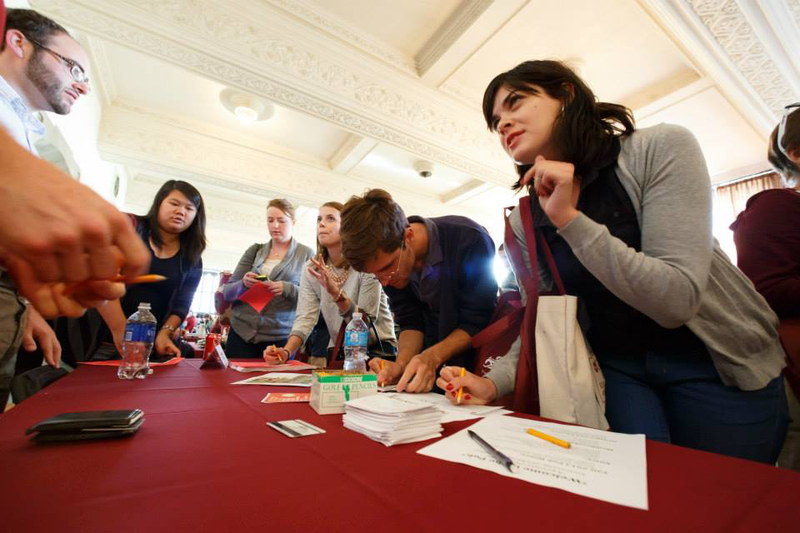 You can email the Committee at gradexperience@uchicago.edu. Evolving roles of graduate education in the University. Thank you to the 2,261 graduate students who participated in the student survey: 40 percent of all enrolled doctoral students and 24 percent of students in other graduate degree programs. Respondents provided their views on many subjects, including faculty engagement and mentoring, academic resources, professional development, career planning, financial support, and health services, and housing and safety on campus and in Hyde Park. You can find highlights as well as the aggregate responses to the questions on the survey here. The Committee will be segmenting and analyzing the data more deeply in order to evaluate specific issues across our diverse programs, cohorts, and demographics. The Committee will be seeking your sense—as well as that of your students, and of staff, administrators, and many others—of the state of your graduate programs in particular, and of graduate education at the University more generally. 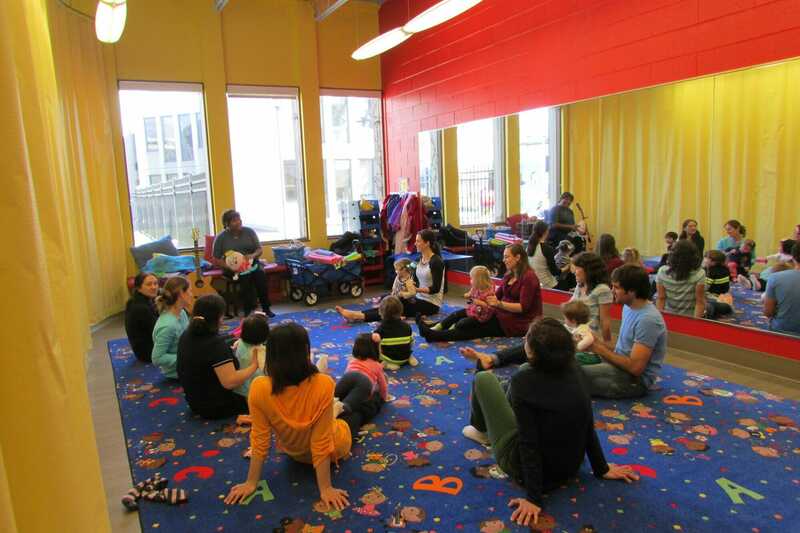 We are acutely aware that our programs are diverse and have different needs, and that each of our areas, departments, Divisions, and Schools are constantly evaluating those needs, assessing and improving their particular programs. We are eager to learn from those efforts and incorporate them in our own. To that end we will be communicating with many of you, both individually and collectively, as we work to complete our assessment in January of the coming year. In the meantime, please do not hesitate to contact any of us. In case you are interested in the Committee’s communication with students, I am forwarding below a message sent by the students on the committee to their fellow graduate students, introducing themselves and outlining some initial steps the Committee is taking to solicit their perspectives. We are writing to introduce ourselves as the graduate student representatives on the Provost’s newly-convened Committee on Graduate Education. The provost has charged the committee with assessing graduate education, life, and professional training at UChicago. Such a committee has not been convened at the university since 1980, which resulted in the Baker Report of 1982. While that committee was solely made up of faculty and administrators, our committee was designed to include equal graduate student representation. This ensures that graduate student perspectives will be pivotal in informing the future directions of graduate education at the University of Chicago. The Committee on Graduate Education is comprised of eight faculty members, appointed in consultation with the Provost and Deans, and eight graduate students, appointed by the Graduate Council in consultation with student representative bodies, such as the Deans’ Councils. The committee will be chaired by David Nirenberg and supported by executive staff of UChicagoGRAD and the Office of the Provost. The full committee membership is listed below. At the first meeting of the committee, we discussed ways to engage a broad cross-section of faculty, students, and staff. By the end of the Spring quarter, the committee will launch a comprehensive survey of graduate students to gauge your experiences and the issues you think we should address. This is an opportunity to share your perspectives and guide our discussions. We will also hold a town hall meeting to introduce ourselves, our charge, and to get your feedback. We will continue to update you on our efforts and opportunities to get involved as we move forward. In the meantime, please note that we welcome conversation with you, and we look forward to the opportunity to learn from you through formal and informal discussions in the coming months. 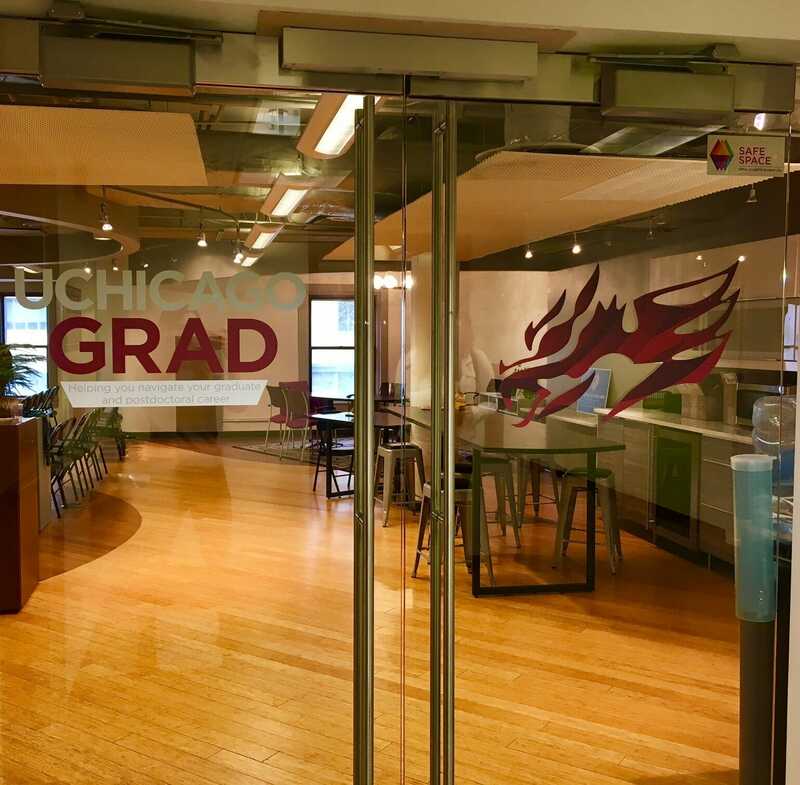 If you would like to know more about our involvement with the committee or share your experiences with us, we would be glad for you to reach out to us at gradexperience@uchicago.edu. 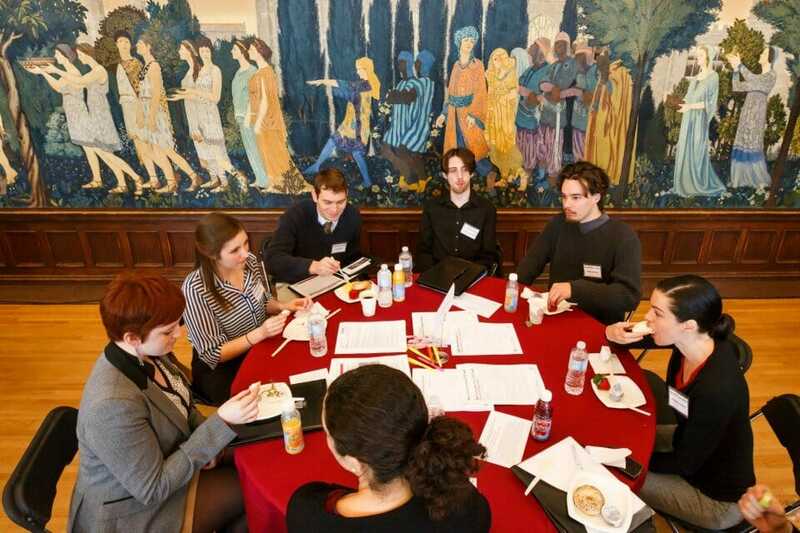 To learn more about the committee and read the complete charge, you can visit our page on the UChicagoGRAD website: https://grad.uchicago.edu/page/committee-graduate-education. We look forward to serving in order to improve the graduate student experience at the University of Chicago.